1. 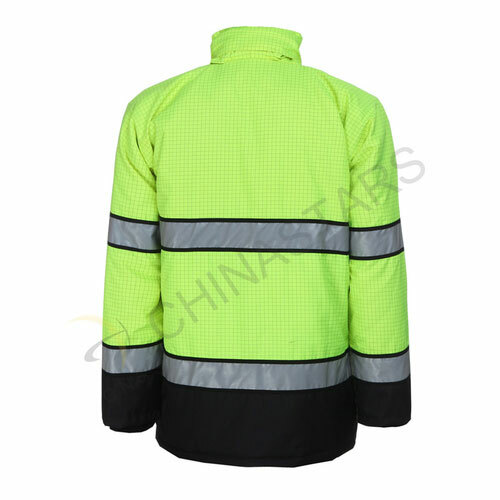 When wear this class 2 reflective jacket with a class E reflective pants, the suit will become a class 3 safety overall. 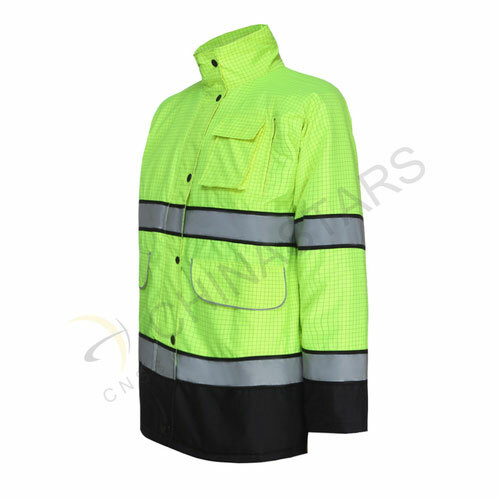 We recommand to pair it with CSP-002 pants in CNNS safety pants group. 2. 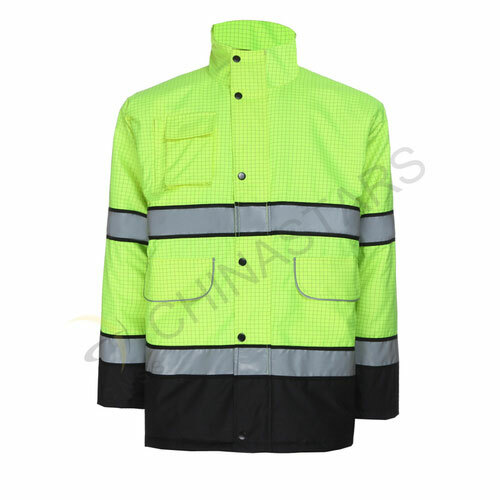 The jacket made of 150 Denier poly oxford with PU-coating which provides maximum visibility and wet weather protection for people who will work on roads, highway, construction sites in rainning. 3. Inner layer made of spraying cotton, and give you a warmer winter. 4. 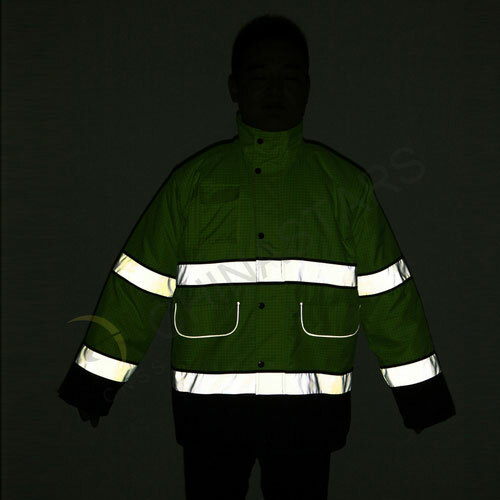 Designed with two horizontal reflective strips on body and four round reflective strips on sleeves for riders and walkers that can effectively help people to be seen in dark conditions/ heavy rains. 5. Velcro detachable hood designed with draw strings and two elastic fixations that can help you to adjust the size, and choost whether to put off the hood or not, according to the weather/ temperature. 6. Two large pocket bottom with Velcor closure. Double pockets on chest and an inside pocket provides you more room to organize your items. 7. 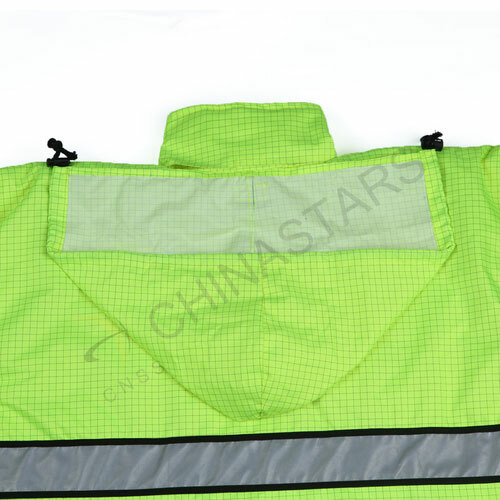 The one-way main zipper in the front of the jacket is protected by a storm flap, which secures with six snaps.